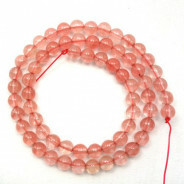 A-Grade Carnelian stone Round 6mm (66pce Strand) - 40cm /16'" Strand. 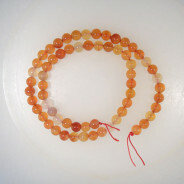 Variant of chalcedony, Carnelian is an opaque to translucent light orange to deep reddish/brown. Name is derived from he latin word “carnem” meaning horn, in reference to the colour sometimes exhibited. 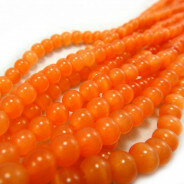 Widely used during Roman times to make signet or seal rings – it is said that hot wax does not stick to Carnelian. 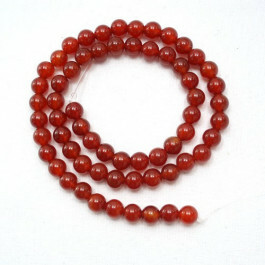 Also called “Mecca Stone” and “Pigeon’s Blood Agate”.